Thousands of engineers are jobless or seeking out other occupations, engineering colleges are downing shutters. What has gone wrong with a profession that was once as coveted as medicine? Abhishek Bhagat, of Mumbai, had finished his degree course in electrical engineering from a college listed in the top 20 private colleges of Maharashtra, and he sincerely believed the popular opinion that his college was the best in Mumbai for studying electrical engineering. Throughout the course, his marks were above average and that made him confident of landing a good job. But after graduating and not finding a good job for two years, Bhagat, at 23, enrolled for a postgraduate diploma in transmission and distribution from the National Power Training Institute (NPTI) in Nagpur. He cleared the course with the third rank, but no job still. “It was frustrating. Finally, I got a job that paid Rs 15,000 monthly – pretty low, but I had no options,” he says. Today, he works as a business development executive, handling sales at a solar power firm, for a slightly higher salary. He’s no longer involved in core engineering. There’s no dearth of stories of engineering woes in India. Karthik, from Chennai, would board the college bus from East Coast road to his college, located at Vengal in Thiruvallur district. By the time he returned, it would be late evening. Yet he was excited about having got admission for the computer science stream in a prestigious private college. In the second year of his course, the college withdrew the bus service. Karthik would get to college using the state-run bus service and shared autos. This would take longer. But worse was to come: one day, he realised there were only two teachers; all the rest had been laid off. The management explained that since not many students enrolled that year, they couldn’t afford to pay teachers. A few months later, Karthik and other students were told the institute was shutting down. Many dropped out, some sought out other private colleges. Karthik and some others were offered a transfer to another college. “But we didn’t want to trust the management,” he says. “This time we wanted to be very cautious and not risk our careers.” He finally got admission to a prestigious college and obtained his B Tech degree last year. About 15 lakh engineers pass out every year; but there are jobs only for about a third of them. Most passouts have degrees in information technology and electronics, because the IT sector was booming over the last two decades. Now, the National Association of Software and Services Companies (NASSCOM) says the IT sector has only 1.5 lakh jobs to offer to the huge army of engineering undergrads. In India, since the fifties, engineering has been a coveted stream. Seats were limited, since most colleges were run either by the centre or by state governments. It was only after private engineering colleges came into the picture in a big way, mid-eighties onwards, especially in states like Karnataka and Andhra Pradesh, that engineering became an easy option: anyone who had passed higher secondary with science and maths could get a seat. There were jobs, too, to absorb the steady stream of engineers flowing out of the hundreds of colleges across the country. But that’s no longer the case. Ashok Kumar, a retired auditor who lives in Ghaziabad, says friends who took his advice and put their children in engineering colleges curse him. They were trying to walk the path Kumar’s son and daughter took, studying at prestigious engineering institutions in Kanpur and landing well-paying jobs after campus placement – now curse him. But Kumar’s children had done their engineering a decade ago: the scene has changed, drastically, since then. Now not all passouts from the prestigious IITs are able to land well-paying jobs immediately – unless they opt for areas like management or finance. There are reports that the Indian IT sector may lay off 56,000 engineers, and that 122 technical institutions across the country are closing down. A comprehensive study by an expert committee of the Maharashtra Technical Education Board in 2013 reflects in figures what Kumar’s experience exemplifies. In 2006-07, 14.98 percent of engineering seats in Maharashtra were vacant. The next year, they fell to an all-time low of 1.03 percent, for this was when the Indian economy was booming and the government was unleashing massive infrastructure projects. But in 2013-14, the vacancies touched 34 percent in Maharashtra, and across the 18 government and 347 private engineering colleges in the state, vacancies ranged from 30 to 90 percent. What’s more, in 2013-14, more than half the engineering colleges in the state had more than 35 percent seats vacant. Naturally, many of these colleges are on the verge of closure. It’s no different in Andhra Pradesh, with 700 engineering institutions, and Tamil Nadu, with 570. 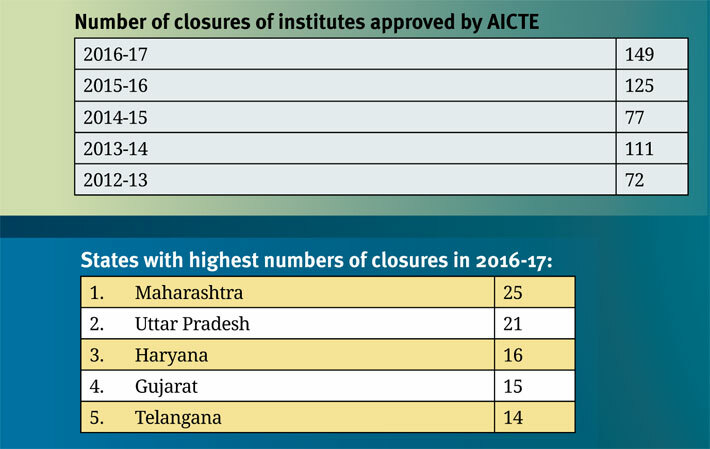 Some branches are losing their charms faster: the Maharashtra report observes that, in 2013-14, electrical engineering, electronics, and computer sciences contributed to nearly 19,000 of the 53,400 vacancies in the state’s colleges. These were branches that had ridden the IT boom. With manufacturing yet to take off in a big way, the job scene for mechanical and chemical engineers too seems dismal. Those passing out of the better engineering colleges still manage to find jobs – or branch off into other fields where the analytical and number-crunching abilities an engineering education imparts may find service. 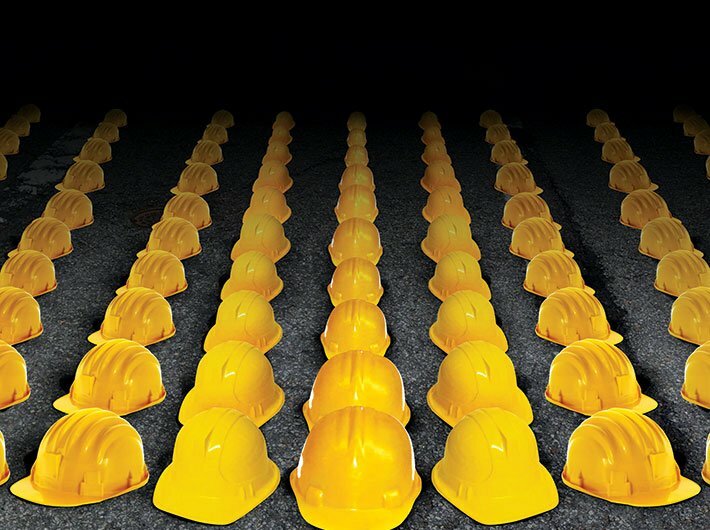 In the midst of the gloom, Indian students continue want to take up engineering, reasoning perhaps that a technical education prepares them better for the 21st century, whether or not they land core engineering jobs. Only recently, the global report commissioned by Queen Elizabeth Prize for Engineering, a UK-based organisation promoting interests in innovative engineering, said that India was bound to become the largest producer of engineers in the world. The 2015 survey found that 80 percent of the surveyed 16-17-year-olds in India wanted to become engineers, as opposed to 20 percent in the UK and 30 percent in the US. The swank, four-storey building of the AICTE in Delhi’s Vasant Kunj area is serene, in contrast to the tension in the management offices of engineering colleges across India. 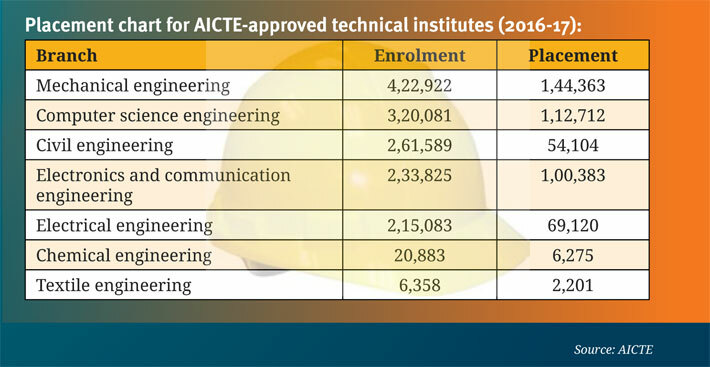 Higher-ups at AICTE admit that, in 2016-17, enrolment in engineering colleges was close to 37 lakh – one lakh less than the previous year. Ironically, its website notes that this year, it has already approved 291 new institutions. Could there be a better example of a demand-supply mismatch? His deputy, Usha Natesan, whose job is to advise AICTE on granting approval to new colleges, gives a nuanced view. “There are a number of reasons [for the fall in enrolment in engineering colleges]. Some students find it unaffordable; they also look at the scope of the profession. Now pharmacy is becoming a popular field; it probably offers better opportunities. They’ll go wherever there are more job opportunities.” She says the apex body cannot put a cap on the number of engineering colleges in any state. “We don’t have that authority. If they’re fulfilling all our criteria, we have to give approval. State governments can limit this number.” She does admit, though, that the mushrooming of several private technical institutes was partially responsible for the glut of engineering grads. Speaking of Tamil Nadu, with the largest number of engineering colleges (and hence the most vacant seats too), Chennai-based educationist M Anandakrishnan says the lack of job opportunities is the main reason engineering is losing sheen. He says the state produces about two lakh engineers each year; not even 20 percent get jobs. “We are producing nearly 15 lakh graduates every year, but have jobs only for 5 lakhs, so every year we are adding 10 lakh unemployed engineers.” China too had faced a similar situation and had dealt with it by converting all loss-making colleges into skill development centres. Kelkar’s forum has filed a writ petition in the Bombay high court seeking criminal action against 300 colleges for allegedly giving false online information. Many colleges have been banned and some have been barred from admitting more students. “These colleges are now on the alert. Now, with Prakash Javadekar (HRD minister) at the helm, we are hopeful that things will improve,” says Kelkar. Referring to the reasons for falling standards in engineering colleges, Wadia says at many private colleges, there are just a few teachers with permanent jobs. The bulk of teachers are on contract, some are even paid by the clock (Rs 250-300 per hour of teaching). Very few have PhDs; at best they have postgraduate degrees. There are few opportunities for such teachers to develop professionally; insecure and paid poorly, they have little encouragement to teach well. Sachin, a mechanical engineer who joined the merchant navy, decided to become a teacher in a technical college in Kerala. For confirming his position, the college asked him to get himself an MTech. Sachin took leave and enrolled himself at a Chennai-based institute. It was a distance-learning course and he was only required to be in Chennai for the practicals. When he reached Chennai for that, someone at the college gave him a file with the details of the experiment conducted in the laboratory and the field, and told him, “You can submit this and leave.” MTech in hand, he landed a permanent job. At age 26, Sumedh Habbu is a reluctant engineer, and he blames much of it on the teaching. “I was not really interested in engineering. But after I joined my college, I lost even whatever little interest I had in the subject. Believe me, it’s the story of every other engineering student,” he says. Habbu had taken the electronics and telecommunications stream, where ideally students should be put through practical training, but in fact were confined to the classroom. “I feel that in the last two-three decades, the focus has shifted to simply churning out workers. We are not real engineers, like they had in my father’s generation. They had to go to boiler rooms and do a lot of practical things. Now, it’s not that we don’t have to work hard, but we’re not required to be smart, or know things; we should just be able to reproduce the written content properly,” he says. Fresh graduates like him, he says, have to work doubly hard (and their trainers and bosses too) so that they may become job-worthy. No wonder Aspiring Minds, an assessment company, found the employability rate of Indian engineers as low as seven percent. But there seem to be no takers for diploma and certificate courses either. Satish Kumar, coordinator of a Madurai-based private college that has applied for closure of diploma courses, says, “Students are not interested in polytechnic courses. Enrolments were very low. That’s why the college management decided to apply for closure of the polytechnic college (where diplomas and certificates are awarded). It was not economically viable to run the college.” Many colleges are struggling for survival; some are even offering themselves for sale. However, closure is not easy. Only when the affiliating body, like Anna University in this case, is satisfied that the college that applied for closure has followed all norms such as transferring students to other institutions, the request for closure is processed. There should be no liability on the management towards faculty, students, banks or the government. Andhra Pradesh tried to help its many private colleges with a scholarship scheme: since 2008, students doing engineering, medicine, MBA or MCA wouldn’t have to pay fees; the private college would be reimbursed by the government. This helped the colleges for some years, but after the state was bifurcated, Telangana is yet to release money to the colleges that came under it, creating a crisis for many smaller colleges. Sources in AICTE say many institutions had been started only to avail of the benefits of this scholarship scheme and now face closure.